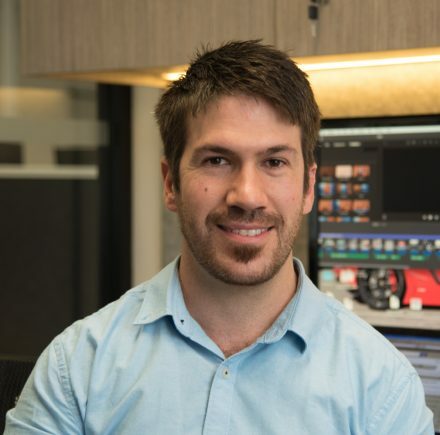 Executives, CEOs and entrepreneurs, check out this svelte machine. It’s called the Audi A7 Sportback, and it could be the ultimate Armani suit of personal transportation. 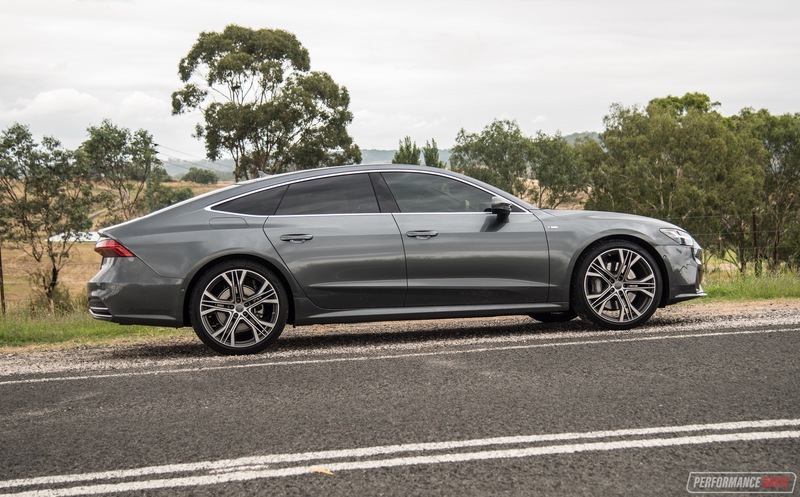 The new A7 Sportback was introduced in Australia late last year. 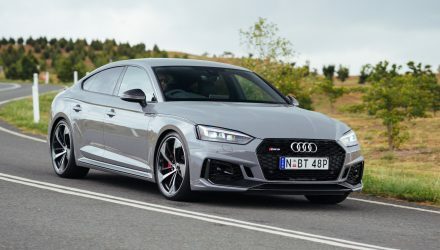 It is something of an exclusive model in Audi’s showroom, with just two different variant levels available; the 50 TDI and the 55 TFSI. Here we’re testing the petrol 55 TFSI version, which features a turbocharged V6 that produces 250kW and 500Nm. 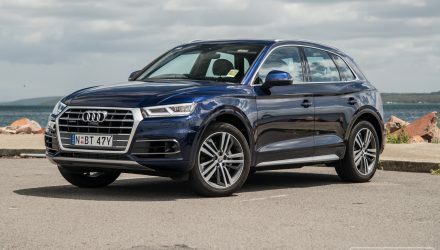 Prices start at $131,900 for both the 50 TDI and 55 TFSI. 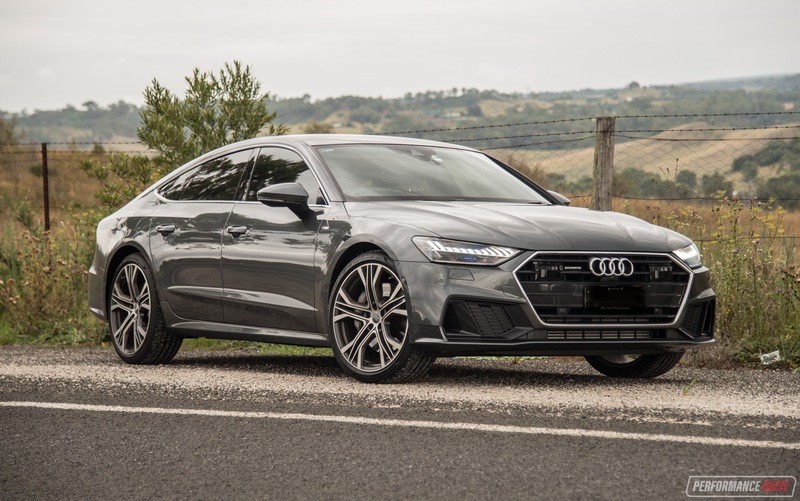 This example has been fitted with the Premium Plus Pack ($8000), which adds some decadent luxuries such as a panoramic glass roof, active ride control air suspension, and four-zone climate control, among other things. 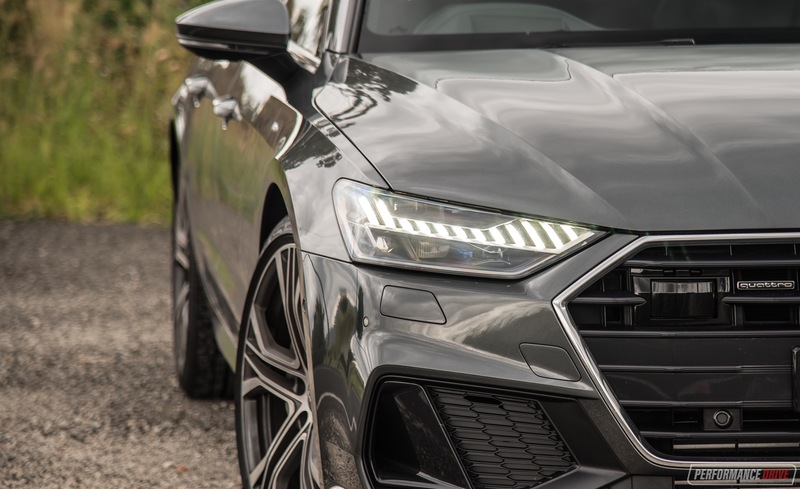 Audis of late have a very distinctive and distinguished interior design, with very clean lines and layout of fixtures. If you have a modern office space, for example, this setting will match it perfectly. 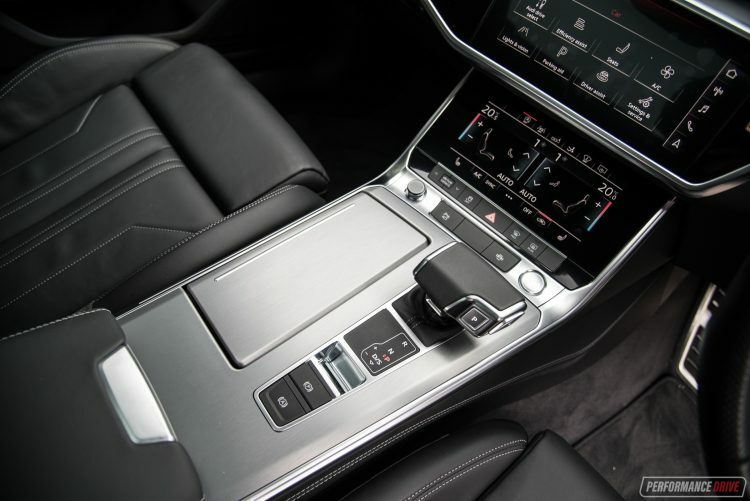 Up on the main dash fascia you’ll find two elegantly-placed touch-screens. The top screen measures 10.1 inches and is for the main vehicle settings and media functions, . It’s relatively easy to understand, with simple tiles spread out in a grid format for the given applications. The menus are also quite nice, with sharp graphics and little animations as you select them. Down below that is an 8.6-inch touch-screen which is purely for the climate and convenience settings. It, too, offers precise graphics and intuitive menu functionality. 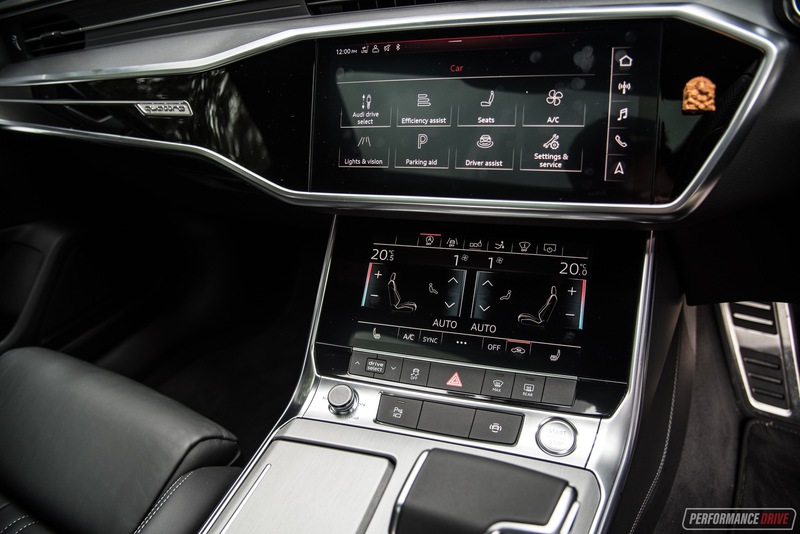 In this case we rather like that Audi hasn’t followed the rest of the pack and presented some form of hand controller on the centre console for these screens. Yes, hand controllers can make on-the-go selections a bit easier, but in this case we think such a system would disrupt the clutter-free design of the dash and console. The screens aren’t a big stretch, either, requiring only a gentle reach up from the aviation-style gear shifter. Passenger space in the front is plentiful. 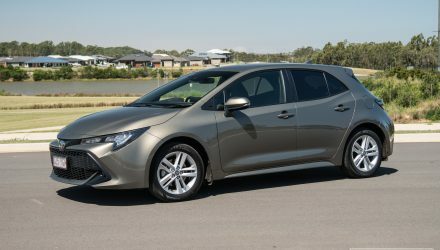 You’re offered good legroom and headroom, and thanks to the clean layout of the controls it all feels airy and open. The seating position is fairly sunken though, which means you do need to bend down to get in and step right up to egress. This is more so in the back as the rear bench seems to sink right down into the vehicle’s platform. In fact, it almost feels like you’re sitting on the ground when in the back. 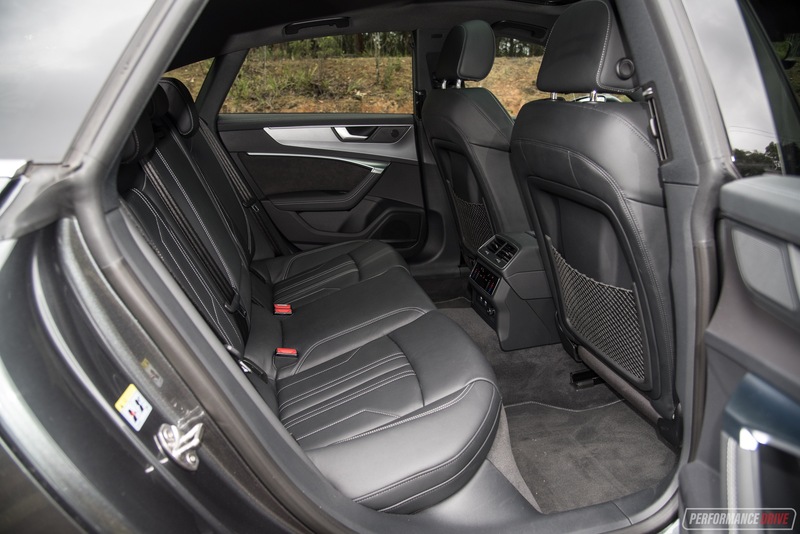 Legroom is impressive for rear passengers, with plenty of shoulder space and good ergonomics. 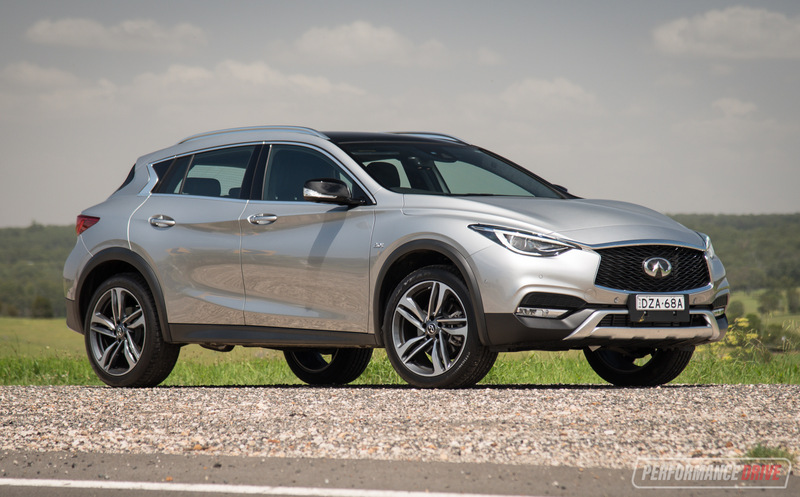 Headroom is only slightly hindered due to the swooping four-door coupe profile. 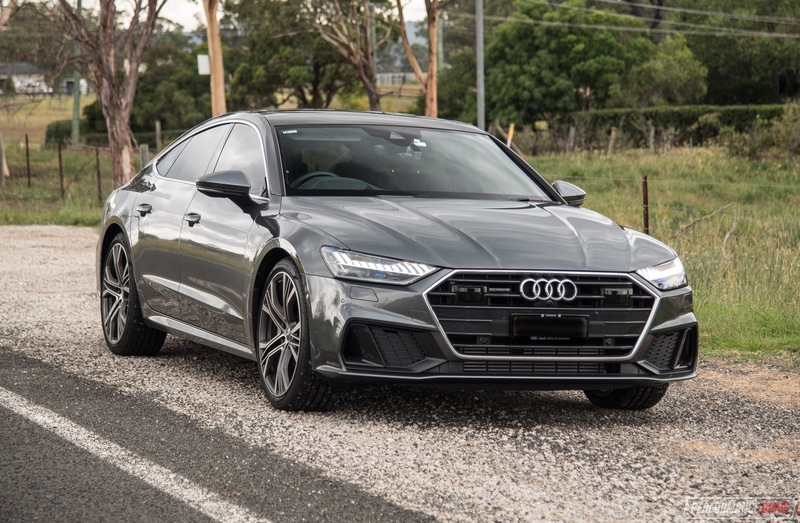 What excites us the most about the A7 is the technology. And a lot of it works behind the scenes, so it’s not overwhelming. 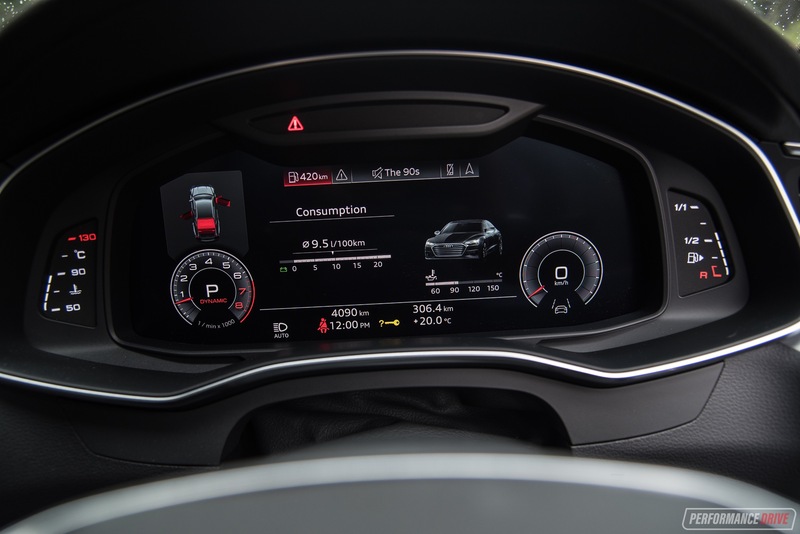 Sure, there are plenty of menus to dive into from the main touch-screen, and there are various layouts to choose from for the fully digital instrument cluster. But these are just options for you. You don’t have to go digging around in them to perform the core functions. However, for those of us who enjoy technology, this place is heaven. You can spend hours just playing around with all of the different settings. 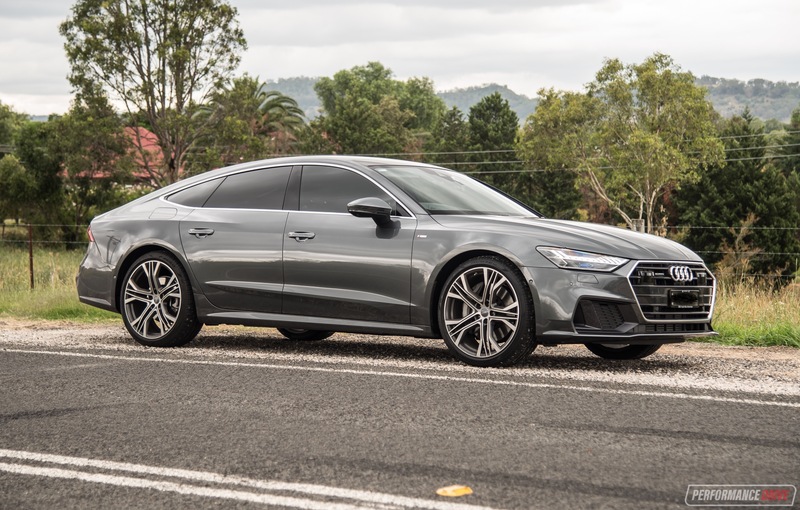 Being a business-class vehicle, the A7 Sportback is absolutely splendid for trips. Whether you’re driving or catching a flight, it doesn’t matter. The boot measures a huge 535L, and expands to 1390L. 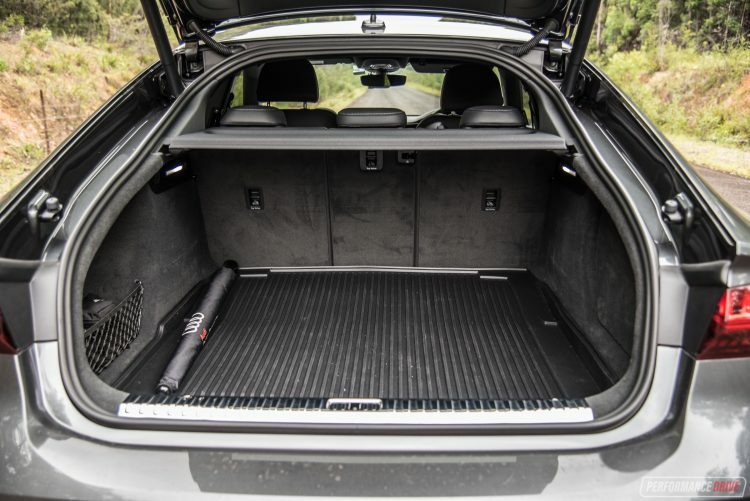 We love the completely flat boot floor and wide load space, which is ideal for luggage and boxy objects. Let’s start with the engine. 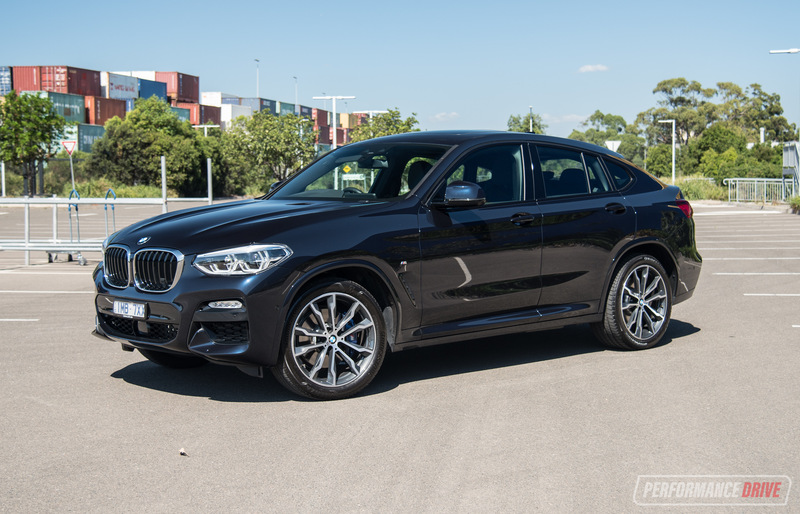 It’s a silky-smooth 3.0-litre single-turbo V6 petrol unit that develops 250kW at 6400rpm, and a strong 500Nm between 1370-4500rpm. Even just looking at these specs on paper, you can immediately get an understanding of its linear and strong acceleration potential. There’s awesome torque straight off the line, and it’s held for a relentless mid-range, and then the peak power starts to come in for excellent top end thrust. 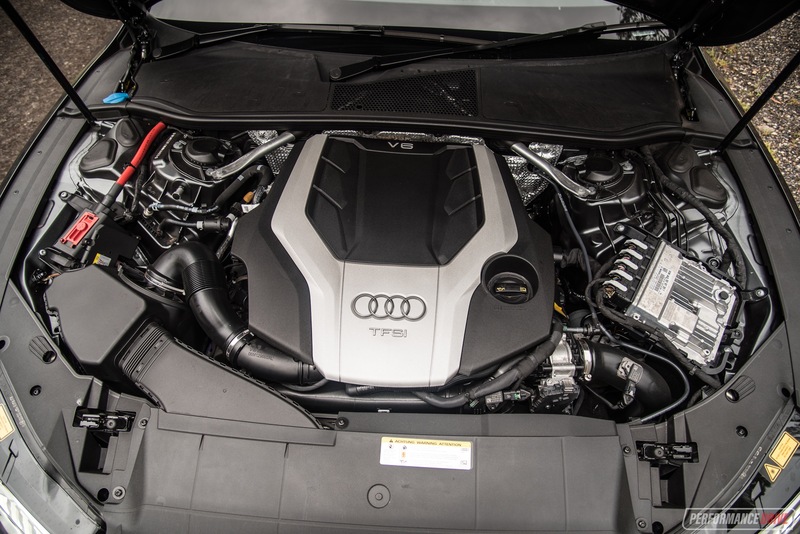 Further to this, the A7 comes as standard with mild-hybrid 48V power. What’s this mean? We like to think of it as almost like an anti-lag turbo system. 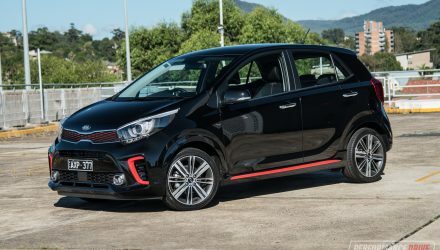 Taking off regularly you can feel the electric system providing drive – up to 12kW of recuperation power – to initially propel the car off the line. It’s very soon backed up by the forceful V6 engine. Using our Vbox we timed a best 0-100km/h sprint in 5.55 seconds. This is very quick for something that isn’t necessarily a performance variant. We think the launch is probably the weakest point, even though it’s not that weak. We tried to build some engine revs while on the brake pedal, and then release the brake. 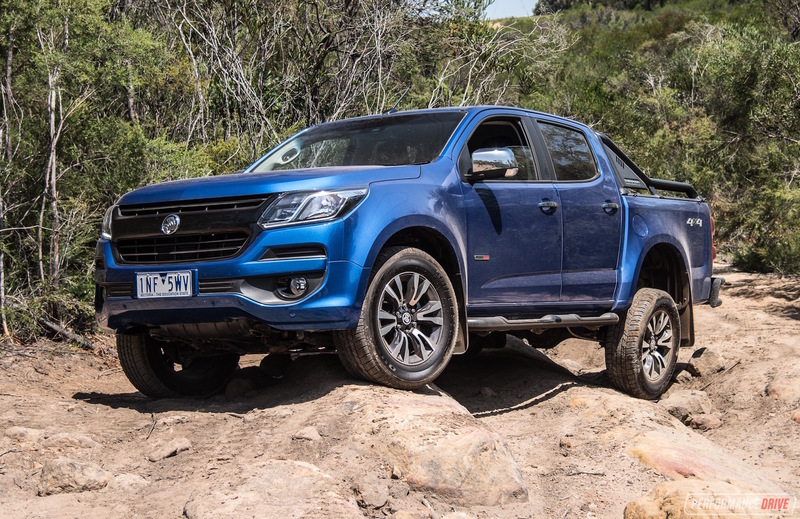 But the seven-speed dual-clutch automatic transmission doesn’t really allow you to do this. If some kind of launch control were featured, we have no doubt it would get close to 5.0 seconds. However, pure acceleration is not what this car is about. 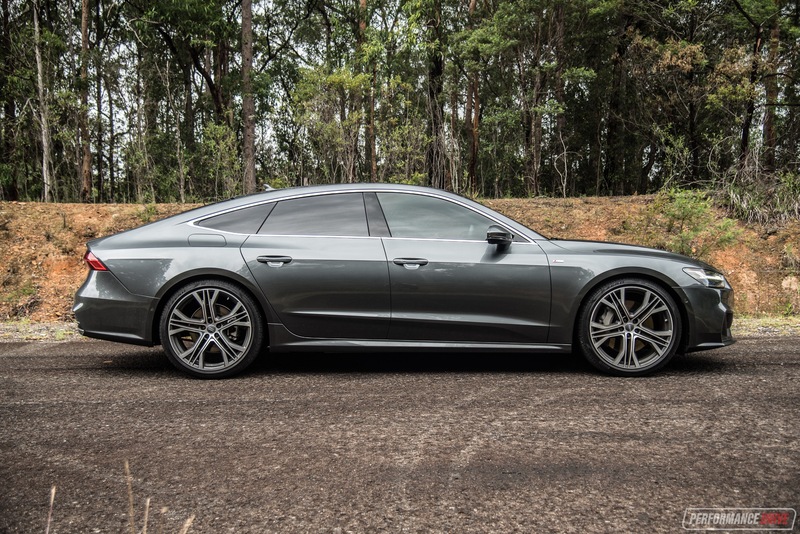 Instead, the A7 Sportback feels more at home eating up highway miles. It soars along with such a majestic and confident grace. It almost feels like a train. And the power and torque delivery amplifies this feeling. With each increment of throttle application, you get an immediate and corresponding result in acceleration. 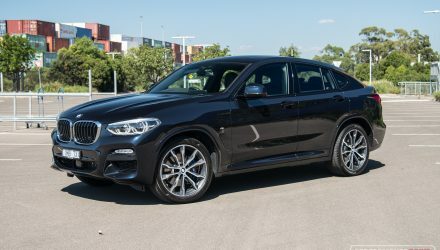 Obviously being a German vehicle, made in Germany, massive chunks of high-speed autobahn could be gobbled up in no time and with no trouble. 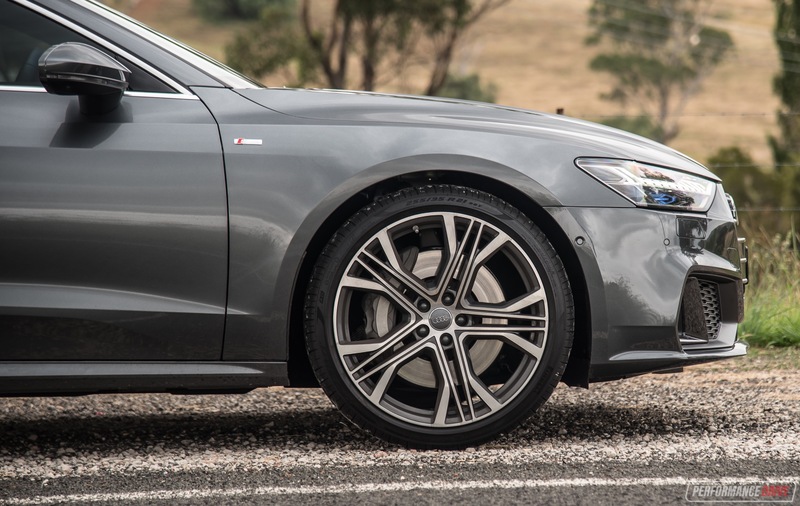 Around corners the A7 Sportback is very sure-footed and stable. With the active air suspension option, as fitted here, the car is able to literally lean into corners, leaving virtually zero body roll. It offers very flat handling. And the system does well to hide some of the 2000kg tare weight. 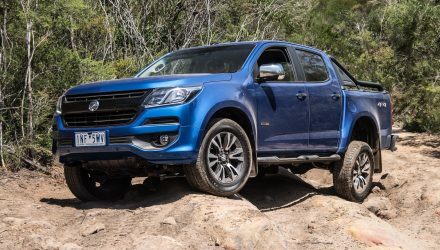 Speaking of which, this is quite a heavy vehicle, especially for a passenger car and not an SUV. 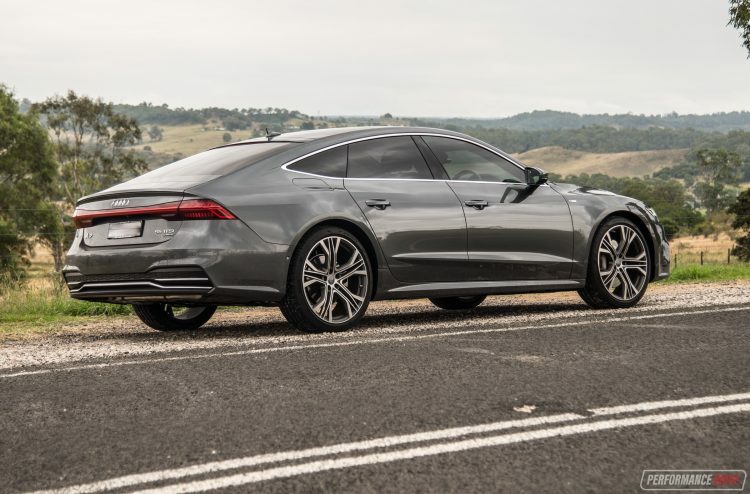 In that sense, it’s not quite as agile as the now-outgoing BMW 6 Series Gran Coupe, and can’t match its platform-sharing cousin, the Porsche Panamera, for pure cornering bliss. 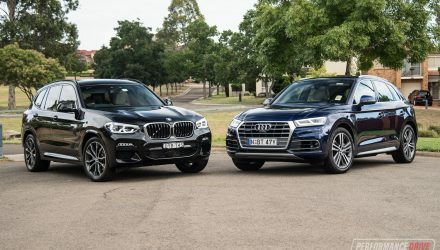 In our opinion, the biggest difference in handling with these is the Audi’s behaviour when encountering mid-corner bumpers. It rails around sweeping bends with no trouble, remaining committed and confident. 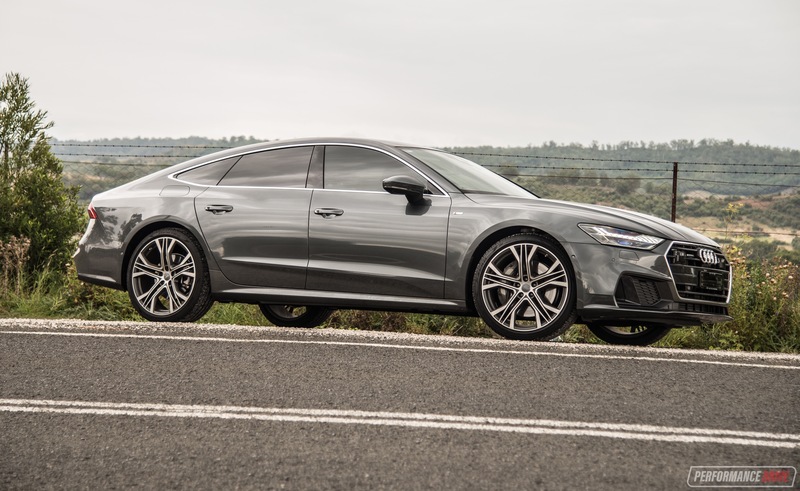 But if you throw some undulating tarmac into the mix or a mild pothole, the A7 does seem more disturbed than some rivals. The ride quality is supple and absorbent in any other area. At the end of the day we think the weight is the main culprit. 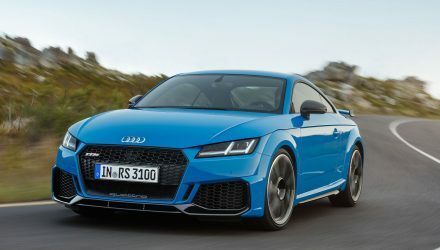 As hard as Audi has tried, and mostly succeeded, 2000kg is 2000kg. 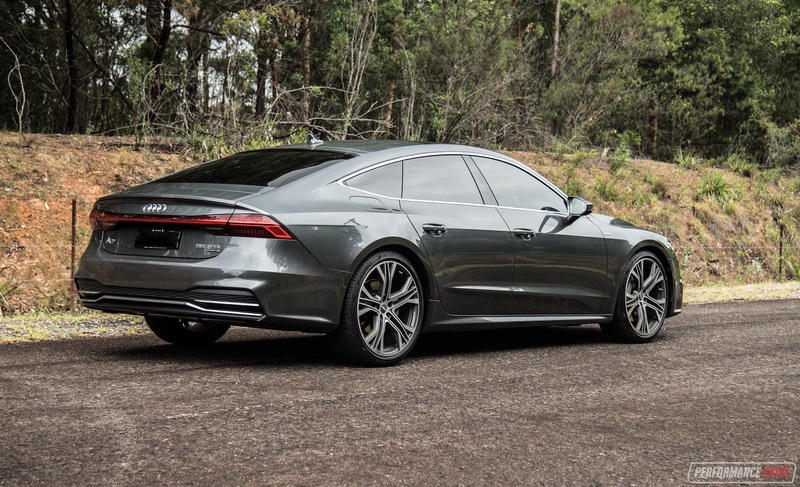 It’s just such sleek and cool machine, this new A7 Sportback. We particularly like the 21-inch alloy wheel option as featured here and the Daytona pearl grey paintwork. 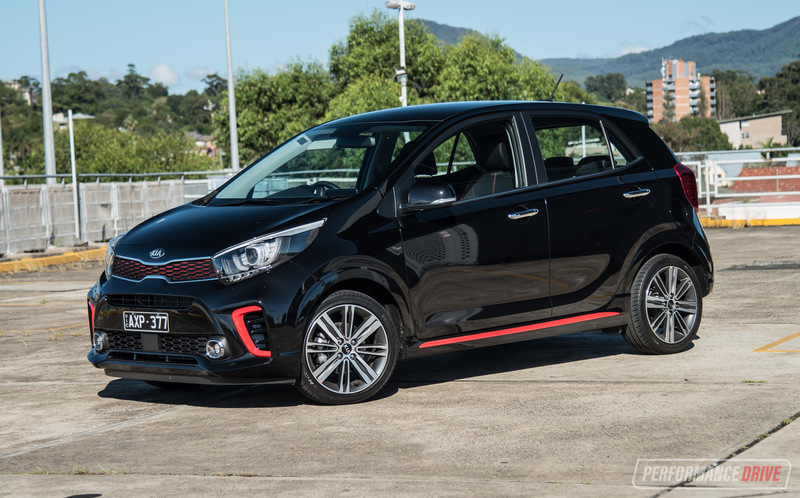 The whole package tends to appeal to all car enthusiast types, too; it presents as a smart businessmen’s car, a cool night cruiser, and even has some appeal in the aftermarket world – imagine a matte grey example fitted with some 22s. 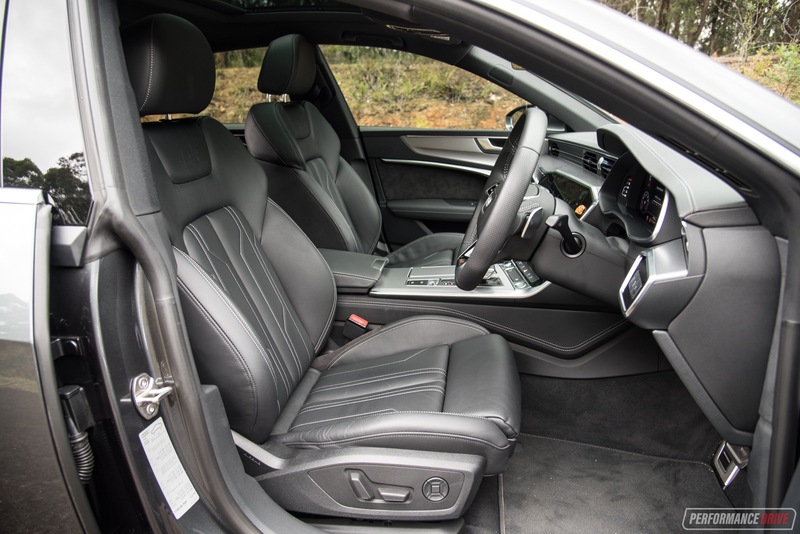 And then you have the dignified and super-refined interior, which is packed with behind-the-scenes technology. And finally, that engine. It’s sweet, smooth and forcefully powerful. 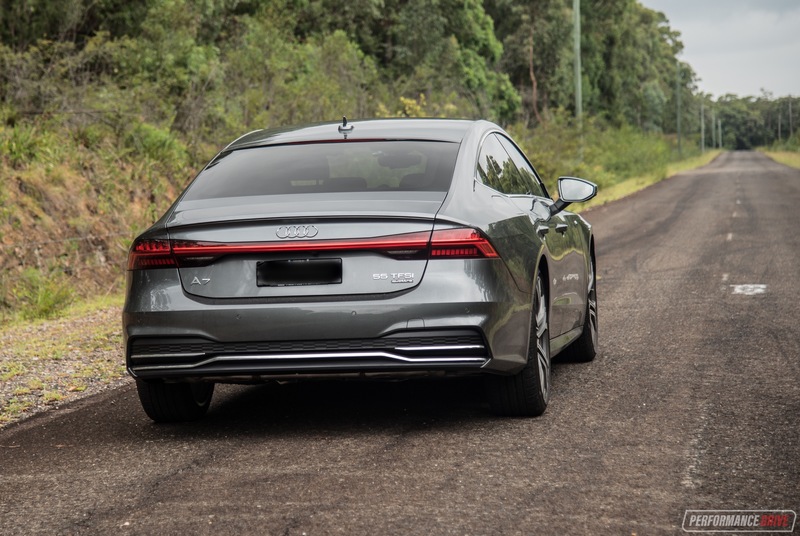 In the end about the only criticism we have for the A7 is the heavy weight, which does seem to hinder its cornering agility, even for a car of this size and in this segment. 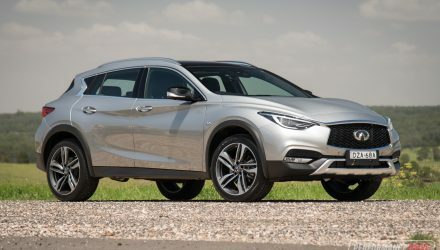 – Nice engine but a bit too quiet?